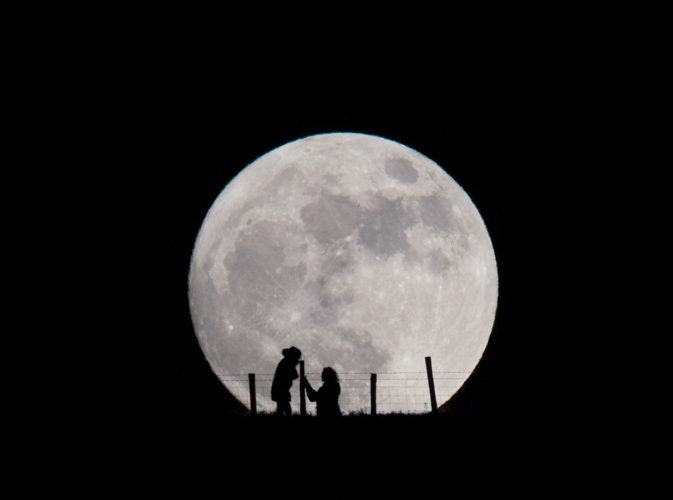 Stunning moon proposal captured by #walk1000miler on first walk of the year! #walk1000miles is off to an auspicious start after challenger Kirsty Paton captured these stunning pics of a never-to-be-forgotten proposal on her first walk of the year! "My friend Martin has been wanting to propose to his girlfriend Verity for about six month. I like taking photos at night so we hatched this plan to capture the moment in a memorable way. But every time we went for it the clouds got in the the way at the last moment! "After months of failed attempts we went for my first #walk1000miles of the new year on what seemed like a promising evening. I sent them up the hill to the position, keeping Martin on the phone so I could fine tune their position. "In typical fashion there was cloud right in the spot of where the moon was going to pop up behind the hill so we waited just a few minutes longer. Then just at the last minute – luckily! – it passed. I ran through a muddy field carrying my gear trying to make a last-minute adjustment then shouted down the phone "Now Martin!". He got down on one knee and proposed. Luckily she said yes!" OS GetOutside Champion Belinda Dixon: "#walk1000miles is incredibly important"